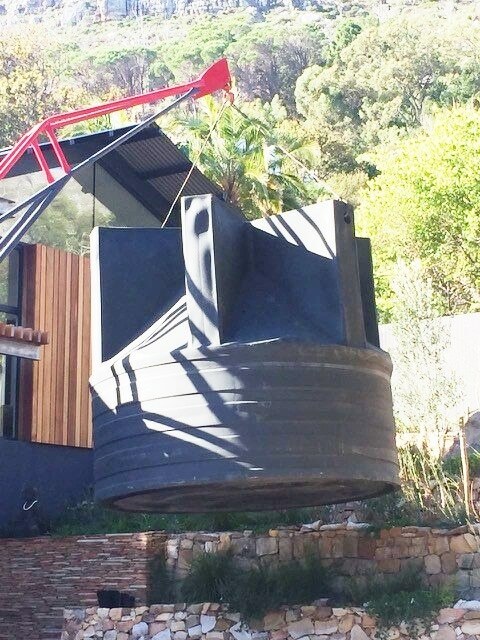 The drought in the Western Cape has created a huge market for water storage tanks, and households and businesses have been rushing to install their tanks before the water runs out completely. The problem is that the larger tanks are simply too heavy to carry or roll into position. 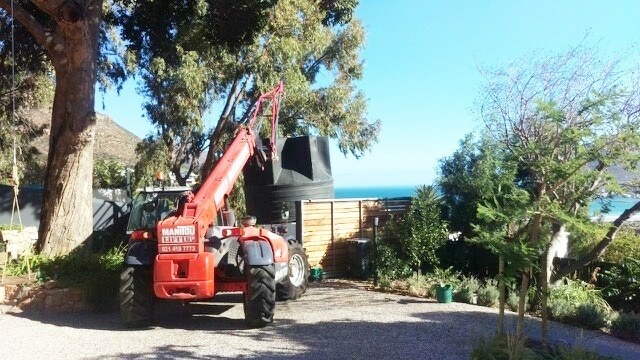 And matters get even more complicated when access to the property is difficult or the tanks have to be lifted over obstacles. That’s when you need a mobile crane. 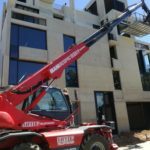 We’ve been called out to quite a few tank installation jobs recently and have shown how quickly and easily a mobile crane gets the job done. 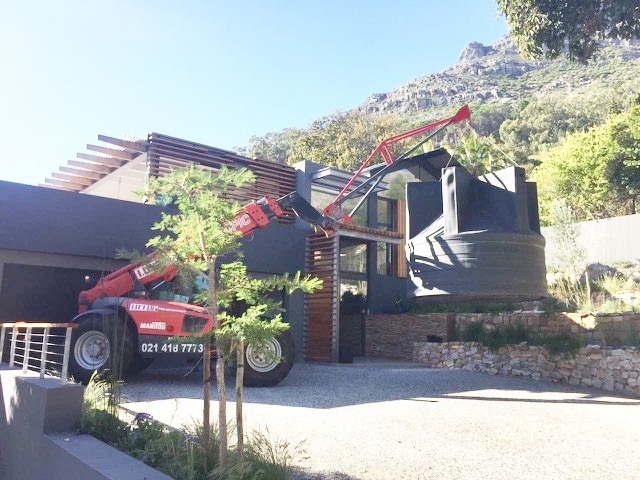 These photos show some recent work installing a tank at a residence on a steep slope. 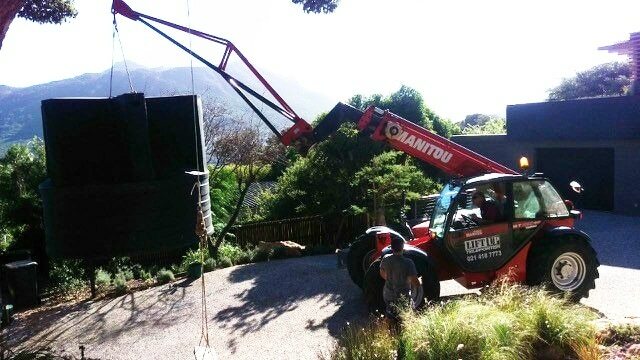 Need to lift a water tank? Speedy furniture delivery – straight through the upstairs window! 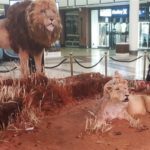 We lift the world’s biggest lion cake!